As the name suggests, the Nikon 8377 Riflehunter 1000 is a product that is going to be particularly interesting to any hunters with a penchant for using a rifle. The Nikon name should be your first clue that this is a quality product, but thankfully this rangefinder doesn’t just rely on brand recognition to get the attention. Although this model is no longer top of the line it still packs plenty of great features that make it worth a second look. Took a look out our findings below as we put this rangefinder through its paces and see if it can live up to the Nikon brand name. Click Here to See Our List of the Best Range Finders. When it comes to rangefinders you ideally want something with a sturdy housing, but not so heavy that it becomes a nuisance to lug around with you on a hunt. The Nikon 8377 delivers on both accounts as it is compact enough to tuck away securely and at just under 7 ounces in weight it is light enough that you’ll barely know it’s there. It fit very snugly in my hand and I found it easy to quickly access all the buttons without any hassles. 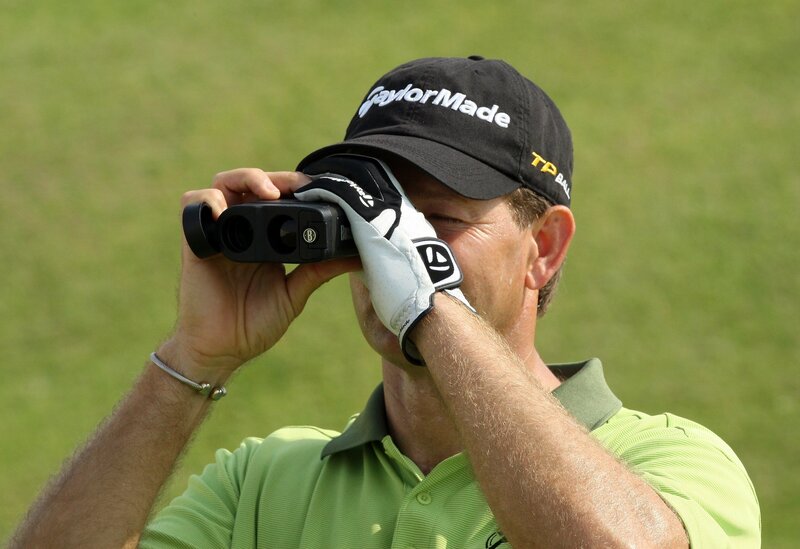 The rubberized finish of this rangefinder provides a solid grip and all round comfortable feel. In addition to its pocket sized design the Nikon 8377 impresses when it comes to durability as well. The rangefinder is completely water and fog proof which means it won’t mind getting wet. If your hunting excursions involve rain, fog, rivers and other wet hazards you’ll love the rugged durability that the Riflehunter has to offer. 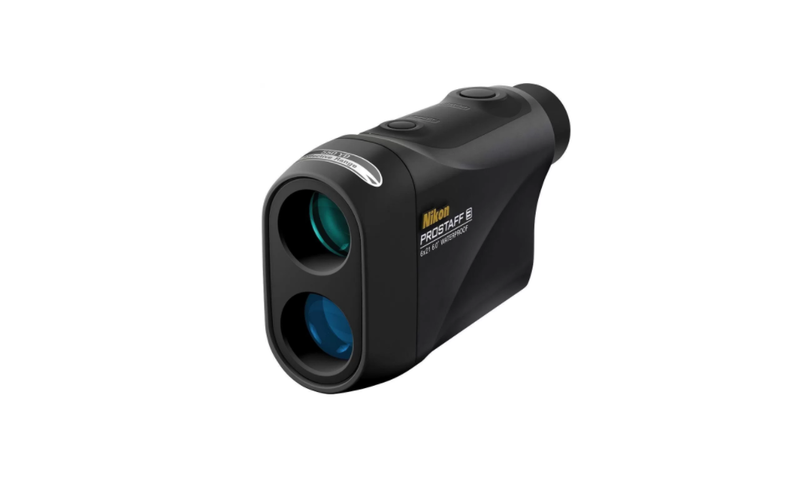 As with other Nikon rangefinders the Riflehunter 1000 operates using a single 3V CR2 Lithium battery, which according to Nikon will deliver up to 5500 measurements if operated continuously. The battery chamber is obviously not waterproof though, so don’t go changing batteries in wet conditions if you value your rangefinder. The five to 1000 yard measurement range of the Riflehunter 1000 should be sufficient for most hunters, depending on what it is being hunted and what the conditions are. It is accurate up to plus minus one yard and uses ID technology to measure distances in 1/10 yard increments for even greater accuracy. Perhaps the most important feature of the Riflehuner is the active brightness control. A common issue with rangefinders, especially the cheaper models is the LCD which makes it hard to see in low light conditions or on busy backgrounds. What the Riflehunter does is adjust the LCD display contrast and visibility ensure you can always see your target. This feature works well for the most part, but I did find that in darker conditions the LED illumination can be a bit distracting. What makes it even worse is that this feature cannot be turned off which is quite an oversight. I did like that the LCD display is uncluttered and you don’t have to carry a manual around with you to figure out what everything means. Another standout feature of the Riflehunter is its target priority control. You can select between Linear Distance Mode for line of sight distance as well as Horizontal Distance Mode which takes into consideration the angle of shooting. In addition it has two target priority modes; First Target for aiming at targets in front of dense backgrounds and Distant Target for targets that might be slightly obscured by foliage. The optics of the Riflehunter is quite good and I particularly liked the wider field of view that it has to offer. 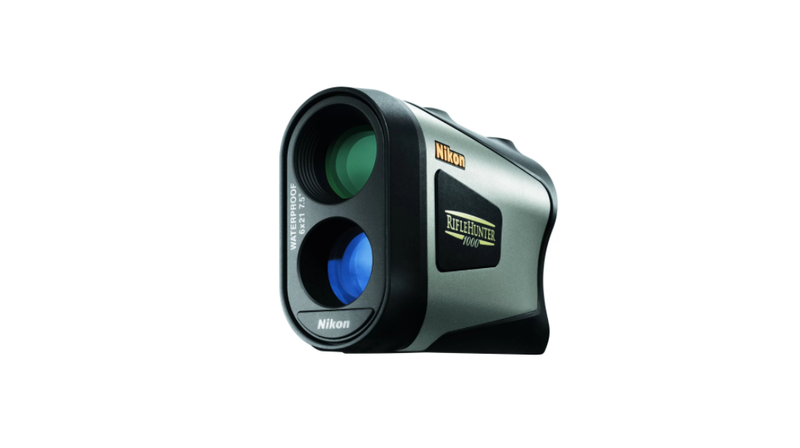 Despite the Nikon 8377 Riflehunter 1000 Rangefinder being a high quality product it has been eclipsed by other rangefinders. The Nikon brand name still carries a lot of weight in the rangefinder industry, but don’t let this blind you against the faults of the Riflehunter. The active brightness control is a useful feature, but depending on what you expect from it, it might be a deal breaker. My advice would be to take this rangefinder for a spin yourself to see if the included features is really worth it for the price. 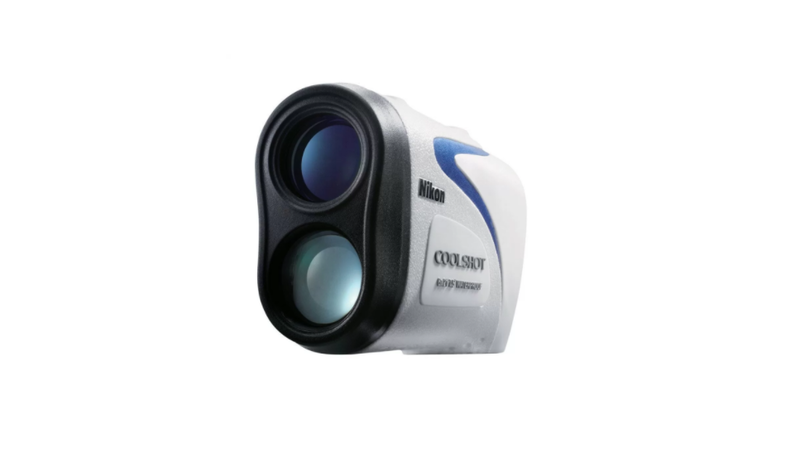 The Nikon 8397 ACULON Laser Rangefinder might not have as many features, but it offers better value for money and is a worthy alternative if you don’t need all the extra bells and whistles.